This Greenwich home's basement was renovated to include a high tech media room, complete with Crestron© home automation system, back wet bar, custom lighting and screening capabilities. 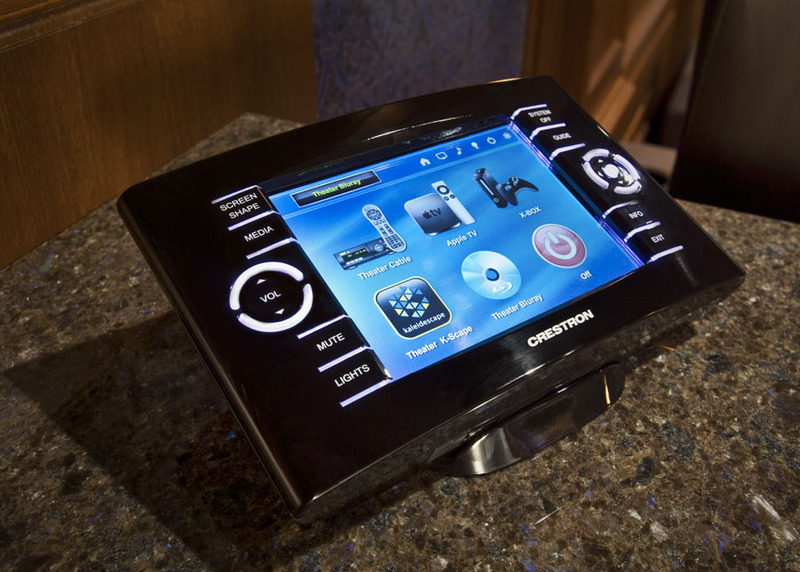 Character grade oak paneling and custom acoustically-rated fabrics keep the aesthetics in character for the home, while Crestron© controlled auto masking on a perforated screen with multi-lens projector provides a high standard of display. 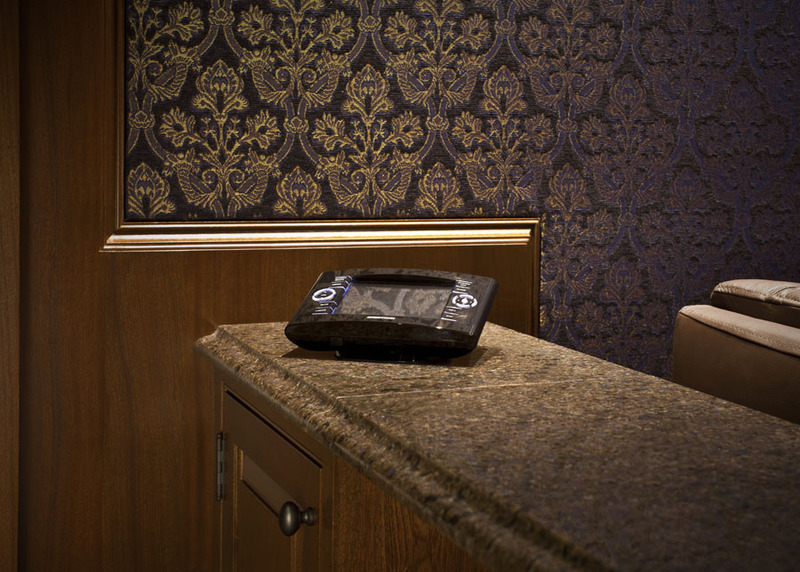 Motorized theater seating and high level audio makes movie-watching perfect. 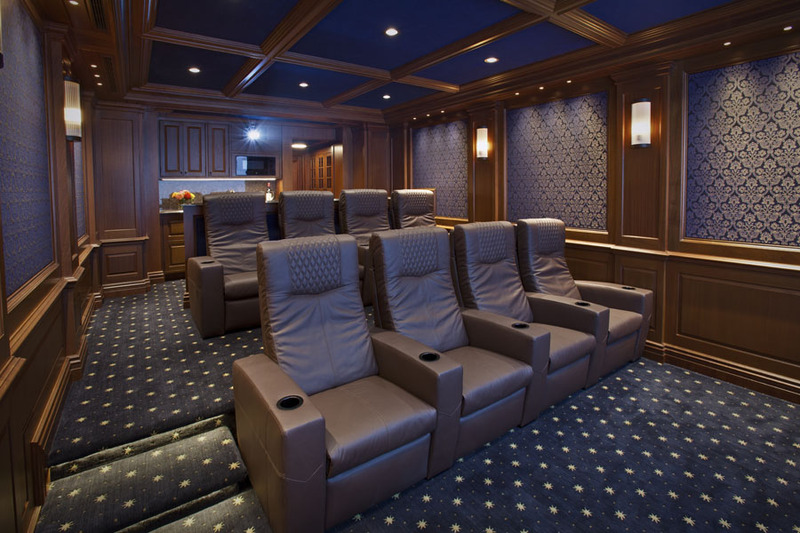 Traditional old-world styling was the goal in this New Canaan, CT home theater. High performing audio and video makes the overall experience exceptional — but the details harken back with this vintage design. This home's unfinished basement was outfitted with a sleek media room that opens to a billiard room with a wet bar. A powder room plus a gym and children’s playroom were added to complete the entertainment options.